Illinois Central College’s 38th Annual Landscape and Garden Day offers a variety of special programs and activities specifically designed for families with young children, as well as the usual favorites for local gardening enthusiasts. This year’s theme is “Superhero Landscapes: Save the World.” The free event is set for Sat., September 8, from 9 am to 3 pm, at ICC’s Horticulture Land Lab on the East Peoria Campus. Free parking is available. The event features topics and demonstrations of interest to gardeners of all ages and experience levels. Showcased will be the newest winners of the All-America Selection, which include the best and brightest new flowers and vegetables available for next year’s home gardens. 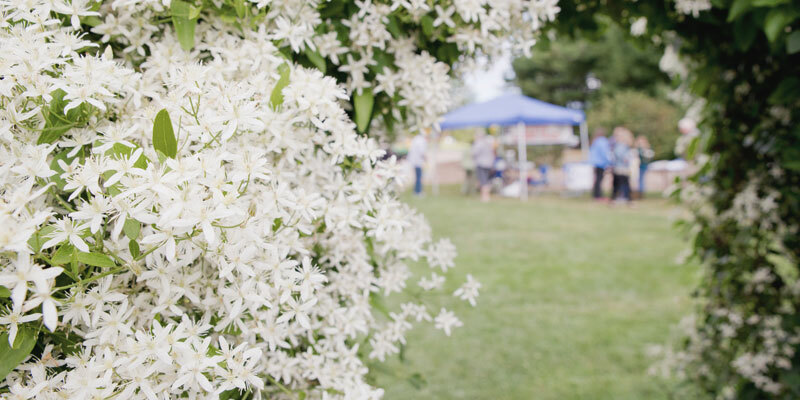 There will be seminars, exhibits, tours, discussions, and a plant sale featuring hostas and other perennials and woody plants grown by students in the ICC Horticulture Program. Local Master Gardeners will be on hand in the plant clinic to identify and diagnose. Visitors can enjoy displays by area garden clubs, nurseries, and landscapers as well as check out this year’s featured All-America Selections Winners in the display garden. Golf enthusiasts can enjoy the ever-popular “Putt for Plants,” and taste testing will be available at the vegetable garden. Jan Powers is a founding member and past president of the Peoria Herb Guild, a member of the Herb Society of America, the Beatrix Potter Society, and the Garden Writers Association. A volunteer gardener at Luthy Botanical Garden in Peoria Ill., her work and gardens have been featured in Crafts Magazine, Midwest Living, Victorian Homes, Country Sampler’s Decorating Ideas, Family Circle, and Mary Engelbreit’s Home Companion. The gardens surrounding her century-old Victorian home have been featured on many garden tours. Jan and her husband Mike occupy a century-old Victorian farmhouse surrounded by an acre of gardens that they lovingly tend in tribute to the three generations of gardeners who came before them. Kelly Allsup is the University of Illinois Horticulture Educator serving the communities in Livingston, McLean and Woodford counties. Kelly is responsible for offering leadership, developing community programs and providing expertise in Horticulture and Environmental Sciences. Corinne Brown is an Assistant Professor of Horticulture at Illinois Central College and Program Coordinator for the Horticulture program. Together they will present on the ten most beneficial and harmful insects living in your landscapes. Come and learn how to identify, attract or eradicate, and observe these landscaping heroes and bad boys. Since 1989, Steve Vaughn has been a Research Plant Physiologist at the USDA, ARS, National Center for Agricultural Utilization Research (NCAUR) in Peoria, Ill., where he has conducted research on environmentally friendly weed, pathogen and insect control practices for high value horticultural crops and turfgrasses, the development of organic fertilizers from food and agricultural processing wastes, the development of novel biobased products, and the use of biochar in horticultural applications. He is the author of more than 100 publications on this research and has been awarded three U.S. patents. He obtained a B.S. in Botany from the University of Massachusetts-Amherst in 1981, a M.S. in Plant Breeding from Texas A&M University, College Station, Texas, in 1983 and a Ph.D. in Agronomy from Texas A&M in 1987. His presentation will be about the history of biochar (agricultural charcoal), the recent interest in its use and some of his own research on it. For more information, contact the ICC Horticulture Program at (309) 694-8872.